Tempo and Speed: Bad Luck or the Hand of Evil? Bad Luck or the Hand of Evil? At first I thought it was just coincidence or bad luck. But now I believe there is much more to what has happened to us recently. See what you think. Two weeks ago we were struck down mid-weekend by a stomach virus. You remember, we had to cancel dinner guests 20 minutes before their arrival. And my youngest son, Helios, was unable to participate in The Pinewood Derby the next morning. What I haven't told you was that two days after my son got sick (with his first illness of that week), I got the stomach virus too. I was sick Monday, Tuesday and Wednesday of that week. Just when I was starting to feel a bit better, Helios complained of a sore throat and he still had a pesky fever. One throat swab culture later, we find he has strep. Did I mention we were scheduled to fly to sunny Florida that Wednesday? I probably don't need to tell that we didn't make our flights. I know there might be some people out there who would have jumped on a plane with their oversized carry-ons and lingering viruses, but not us. We were thinking of all of you and didn't want to spread what we had. So we rescheduled our trip. We are nice that way. Our trip is now scheduled next week. I can't wait for the Florida sun to kiss my pasty Maryland skin. It will be wonderful! The kids are uber-excited because part of the trip includes a visit to The Wizarding World of Harry Potter at Universal's Islands of Adventure. It is a dream come true for them. I am hoping that Daniel Radcliff might be there making some special appearance. He's a real cutie. If I were a few years younger and not married... It would be great for the boys to see him of course. But back to the real story...what's really going on here. Sure it's bad timing to get viruses and have to change your plans once. But now I fear we may have to reschedule our trip again. Yesterday, my oldest son, Leonardo, had the misfortune of his nose meeting a metal bar at full speed, leaving it broken. The metal bar, one of the pair of parallel bars on his school playground, is fine. His nose however, is cracked in one spot and his perfect little 10-year-old septum is now deviated and requires repair. We find out Friday if and when surgery is needed. Did I mentioned that we are scheduled to fly to sunny Florida onWednesday? And ride roller coasters on Thursday? Yes, this is bad. While we are all upset and concerned about the medical issues at hand, the larger issue really is both sons' reactions to the possible change in plans yet again. They handled it well the first time but this time may not go so well. 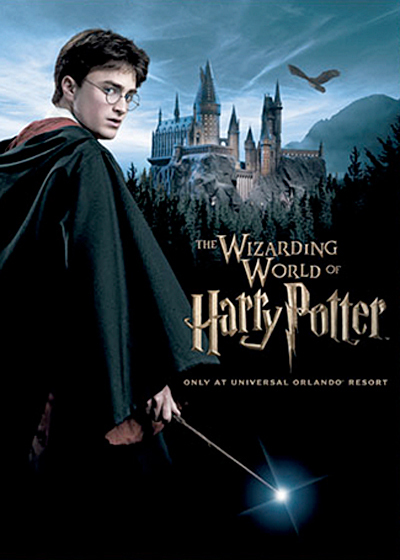 We may still get to go to Florida, but I don't know if roller coasters and Harry Potter will be included. And this is where I think luck has nothing to do with the recent happenings, but there is something greater at work. And this is who I think is behind it all. 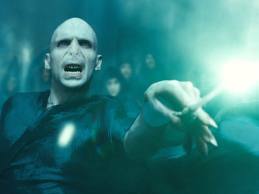 None other than Voldemort himself could open the hinges of hell in these ways. Things just don't happen like this all on their own, you know. But I just hope Leonardo's nose comes out looking better than Voldemort's when this is all over. Oh no! Hope he's not in a lot of pain...keep us posted! OS had his nose broken when he was a junior in high school and had to have surgery on it. It seems like it all happened quickly, like within a couple of weeks of the "accident". I wanna go to Harry Potter land! Remember when we used to play on the bars at the elementary school? Doing flips and tricks -- you created one called "The Egg -- because if you do it wrong, you'll be cracked open!" When you said L. broke his nose running into metal parallel bars, I instantly thought of the time I ran into ours and chipped my tooth. Poor guy. :( I hope he's all right!